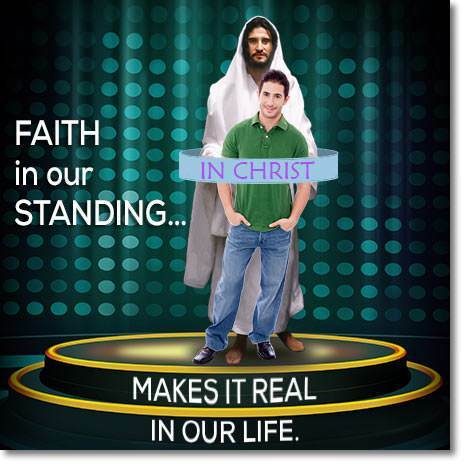 In our last lesson we learned the wonderful truth that we are one with the Lord Jesus Christ. As the branch is joined to the vine, so we are joined to the Lord Jesus in a living union. We are in Him and His life is in us. With all the wonderful blessings that we have in Christ, we might think that the Christian life is going to be easy, but this is not true. We have many powerful enemies—sin, self, the world, the flesh, and Satan himself. 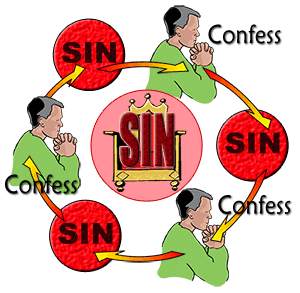 In this lesson we are going to consider the problem of sin in the life of a Christian. When we are first saved, we are filled with joy. Our sins are forgiven, and we have peace with God. We want to please God in all that we do. Perhaps we think that we shall not be bothered by sin any more, but we discover that this is not true. Sooner or later, we find ourselves thinking wrong thoughts and doing wrong things. 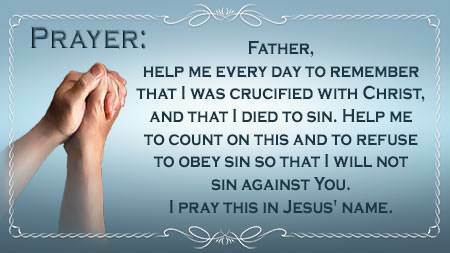 We go to God, confess our sins, and receive His forgiveness, but then we go and do the same things again. The problem is that we are under the power of sin. Some Christians do not take this matter as seriously as they should. As long as they can go to God and receive His forgiveness, they think that everything is all right. But this is not so. 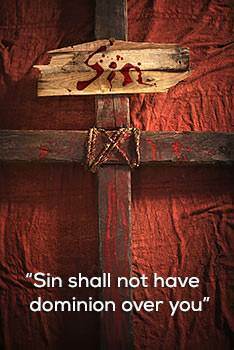 It is a terrible thing for a Christian to continue in sin. It grieves the Holy Spirit and it brings shame on the name of Jesus. 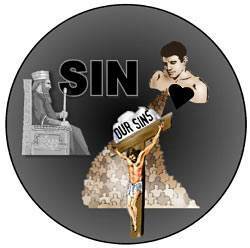 To the Apostle Paul it was unthinkable that we as Christians should keep on sinning. Why? Because we have "died to sin." 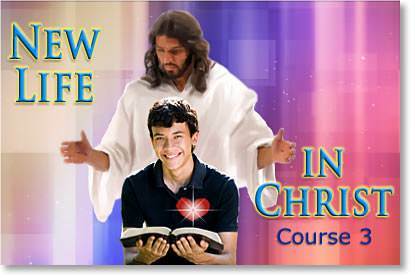 In this lesson we are going to find out what Paul meant when he said that we "died to sin." We are going to see how the Lord Jesus delivered us from the kingdom of darkness where sin reigns. We are going to discover the secret of freedom from sin's power. First, let's see how we got into the kingdom of darkness and under the power of sin. Then we will see how the Lord Jesus delivered us from it. When Adam rebelled against God, he took sides with Satan, the first rebel. Thus, Adam came into the kingdom of darkness and under the power of sin. 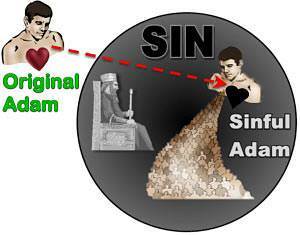 God created Adam to rule, but, instead, he became a slave of sin and Satan. Since Adam was the head of the human family, he brought the whole human race into the kingdom of darkness and under the power of sin. All men became slaves of sin. Our condition seemed hopeless. We were cut off from the life of God. We were in Satan's kingdom of darkness. 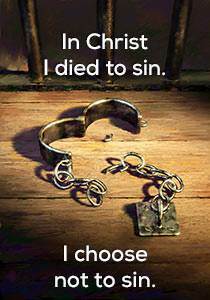 We were sinners by nature and slaves of sin. But God loved us, and God did something about our terrible condition. He gave us a Deliverer, the Lord Jesus Christ. 1. How did we come into Adam's sinful race? We came in by birth. 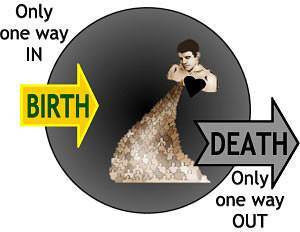 There is only one way to enter the human race and that is by birth. The Lord Jesus lived in this world as a man, but He did not have a sinful nature like we have. He Himself was never under the power of sin. But the Lord Jesus came to deliver us from the kingdom of darkness and from the power of sin. Not only did Jesus die, but He was buried and He rose again on the third day. He rose in a new kingdom—the kingdom of light. He rose to become the Head of a new race—the children of God. 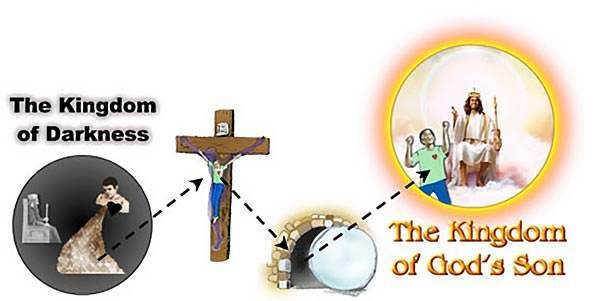 By His death and resurrection He passed out of the kingdom of darkness and into the kingdom of light. This kingdom is called "the kingdom of God's dear Son" because the Lord Jesus reigns in this kingdom. Now we come to one of the most amazing truths in the whole Bible. When Christ passed out of the kingdom of darkness and into the kingdom of light, He took us with Him! Why? Because we were in Him. God put us in Christ. Where did God put us in Christ? He put us in Christ on the cross! When He was crucified, we were crucified with Him. When He died, we died with Him. This is a great fact—that we died with Christ. It is true of every believer. Not only did Christ die for us, but we died with Him. What happened when we died with Christ? We passed out of the kingdom of darkness where sin reigns. 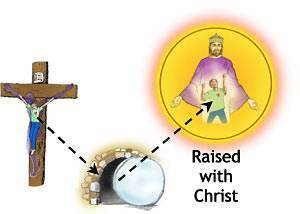 Not only did we die with Christ, but we were buried with Him, and we were raised again with Him. The Bible says that God "made us alive together with Christ." It means that in Christ we have been delivered from sin's authority. When we were in the kingdom of darkness, sin could command us and we had to obey. But now we have been delivered from the kingdom where sin reigns. How were we delivered? We were delivered by our death with Christ. We were crucified with Him. When He died, we died. When He rose again, we rose again with Him. 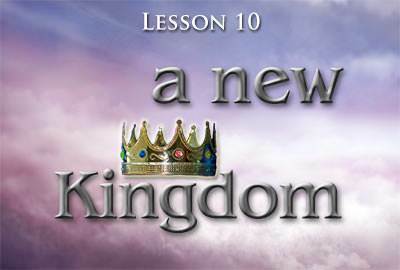 We are no longer in the kingdom where sin reigns. Does this mean that now we cannot sin? No, it does not. As long as we are in this life, we are capable of sinning. But God has made it possible for us not to sin. Now that we have been delivered from sin's authority, we can reject its reign over us. We can sin, but we don't have to! Now we are in the kingdom of God's Son, and sin is no longer our master. When we were in the kingdom of darkness, sin was our master, and we had to obey it. But now we are in the kingdom of God's Son, and sin is no longer our master. Does this mean that we will not be tempted to sin any more? No, it does not. In fact, it seems that, when we really want to live a holy life, we are tempted more than ever. But sin's power over us has been broken. Sin can tempt us but it cannot make us obey it. We can claim our freedom from its power. The Bible says, "Sin shall not have dominion over you…"
"How do I claim my freedom from sin's power?" First, you must count on the fact that, in Christ, you died to sin. Second, you must choose not to sin. 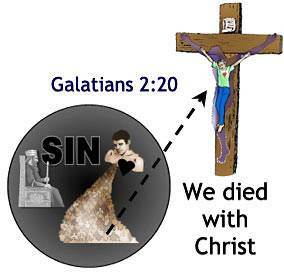 Count on the fact that in Christ, you died to sin. What does this verse say? It says, "Don't let sin have the rule over you!" Why? Because you died to it. 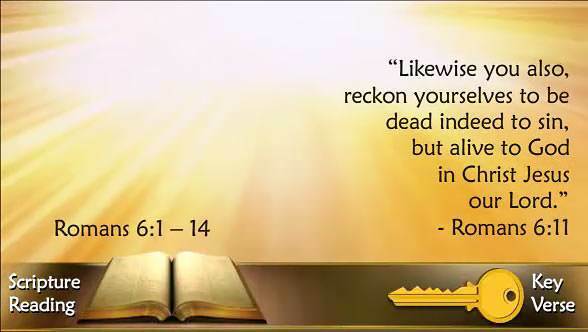 Have you been defeated again and again by a certain sin? Why not claim your freedom from its power? When you are tempted by this sin, you can say, "I refuse to give in to you. On the ground of my death with Christ, I died to you. You shall not reign over me." Then, turn to God and say, "Father, Your Word says that sin shall not have dominion over me. Lord, fulfill Your Word in me and make me free from the power of this sin." God is faithful to do this. Remember, temptation is not sin. The Lord Jesus was tempted, but He never sinned. You will be tempted, but you can say "No!" to temptation. 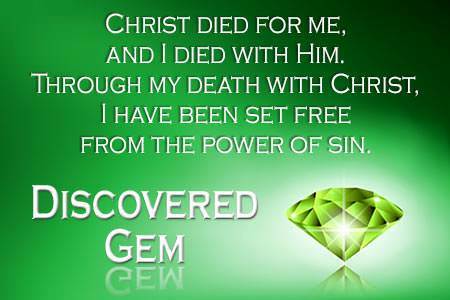 You can claim your freedom from sin's power. You can claim God's wonderful promise, "Sin shall not have dominion over you." Read this lesson over several times. Study it carefully. Ask God to reveal these great truths to you.